I had a 4d scan with both my girls with Issy I was 26 weeks into my pregnancy and with Daisie I was 27 weeks and 5 days. The recommended stage of pregnancy to get the best results/images of baby is between 24 - 32 weeks anything before that is more fluid then baby (image below of mine at 16 weeks) and anything after baby is well packed in so you may not get the best look at bubs. I'd definitely have another with any future babies unless they have a new way of futuristic scanning, It's that far away that I plan to have anymore sadly. 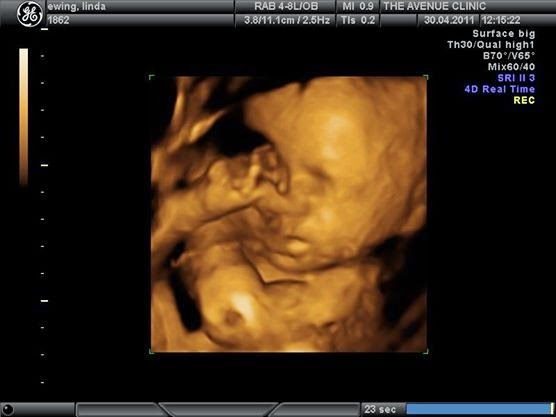 If your one who would rather a total surprise a 4D scan may not be for you, it's amazing to watch baby blow bubbles,have a good wiggle, gulping and all the other interesting things they get up to in there! Each one cost me around £15O although it seems pricey it is honestly so worth it, With each scan I received a dvd of the whole scan and some printed images. They may be cheaper now as I went for my two in 2OO7 and 2O11. It's an amazing keepsake to look back on and I can't wait to pass it on to the girls in their memory boxes once they are older so they can show their children. 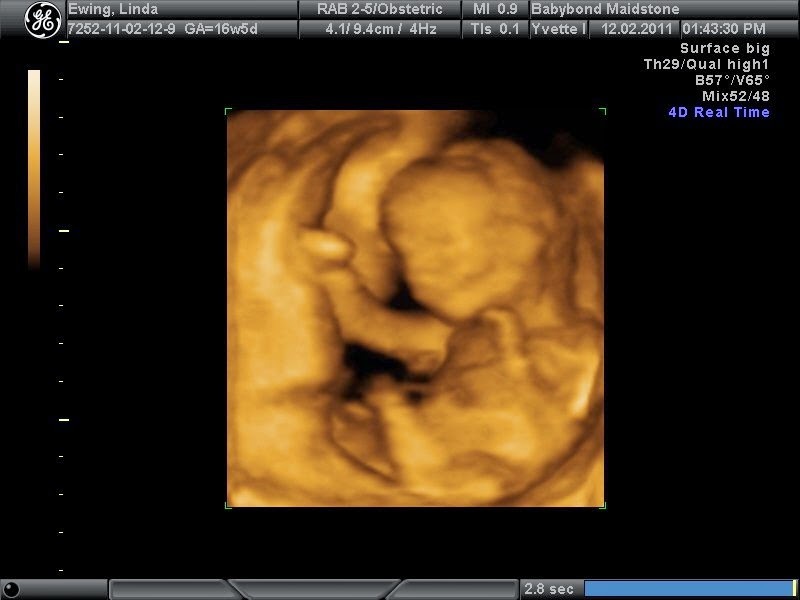 I also had a 4D preview when I went along to my local babybond clinic for an early sexing scan with Daisie at 16 weeks & 5 days (considering I wanted a surprise but I became totally obsessed) I wouldn't recommend going for a 4D scan at this stage because baby is still on the small side. Although its just as amazing to see baby as you can see from my one you don't get to see as much detail as you would if you was further along in your pregnancy. As you've probably gathered I give 4D scans a yay if your in a position where you can afford one. Have you had a 4D scan? Was your experience as magical as promised? 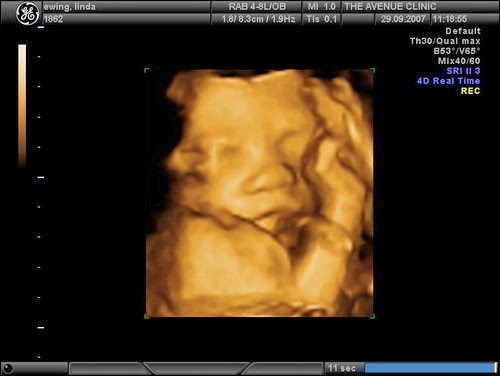 I had a 4D scan with Baby E. It was amazing, I would definately recommend it to other people, and had such a positive experiance. I had a couple of scans that were very uncomfortable and rushed. So in contrast it was so nice to have the laid back, take your time experiance of a 4D scan. 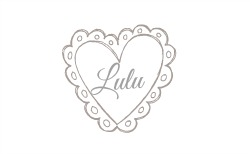 I wrote a post on it over on my blog if you fancy checking it out.